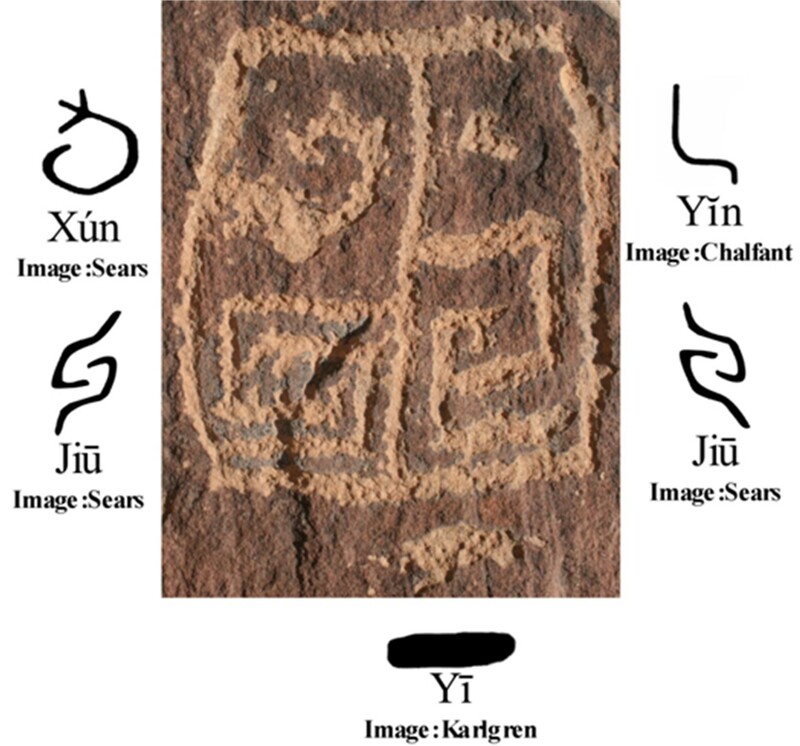 It’s been only one year since John A. Ruskamp Jr., Ed.D., reported that he identified an outstanding Chinese petroglyphs, hidden in plain sight, above a walking path in Albuquerque’s Petroglyph National Monument. 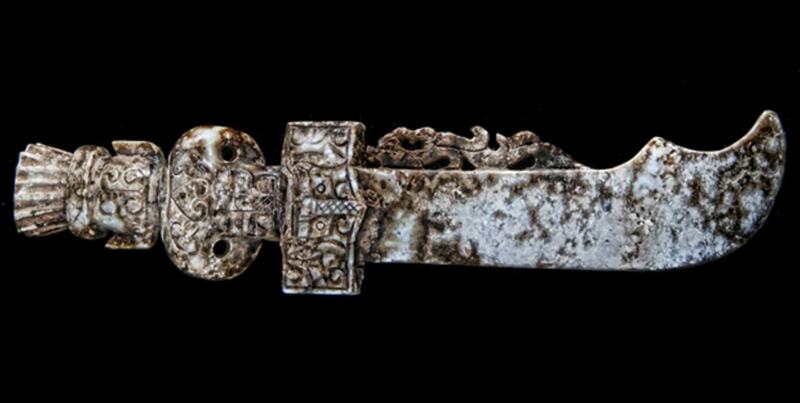 Now, the growing list of seemingly out-of-place Chinese artefacts can count on a new votive sword. Actually, the 30cm object was found in July 2014 by an avocational surface collector, behind roots in an eroded bank of a small stream in Georgia, but it is only now being made public due to the fact that still little is known about it. Reverse side of the votive sword. Photo courtesy of the Indigenous Peoples Research Foundation. 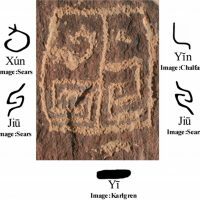 Yet, even if we don’t know much about its origin, the shape and the many symbols it shows are clearly related to the jade objects from the Xia (2070-1600 BC), Shang (1600-1046 BC) and Zhou Dynasty (1046-256 BC). The feathered crown, as well as the dragon figure spanning a portion of the top of the blade, are typical to the Shang Dynasty. 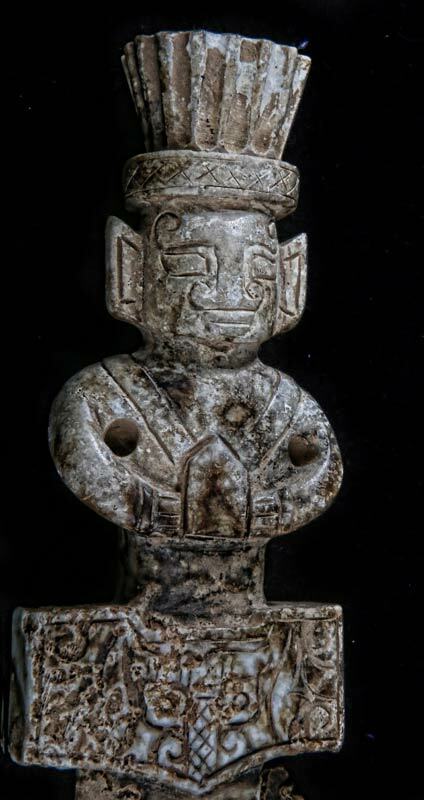 And a grotesque face mask, on the guard and handle of the sword, called Taotie, originates to the Liangzhu culture (3400-2250 BC). 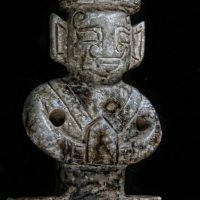 Despite the many indications of authenticity, it is unlikely that these discovery convince any archaeologists who have dogmatically rejected evidence of an ancient Chinese presence in the Americas.